From Rs 40 crore to Rs 440 crore. An 11 fold and 1000 per cent rise. All in a span of ten years – from 2008 to 2017. The growth rate will even have the most optimistic of business analyst shell shocked. From Rs 90 crore to Rs 440 crore. A nearly five time and 554% escalation in commitment to the same property. Even the best of entrepreneur will opt to back out rather than making such an inflated commitment. More than 100% of Rs 1,079 crore Oppo has committed Indian cricket team’s jersey branding rights for a five year period. But, the Chinese smartphone brand Vivo has set a precedent, which hitherto was unheard of and beyond imagination. The figures for a marketing guru will appear shocking. 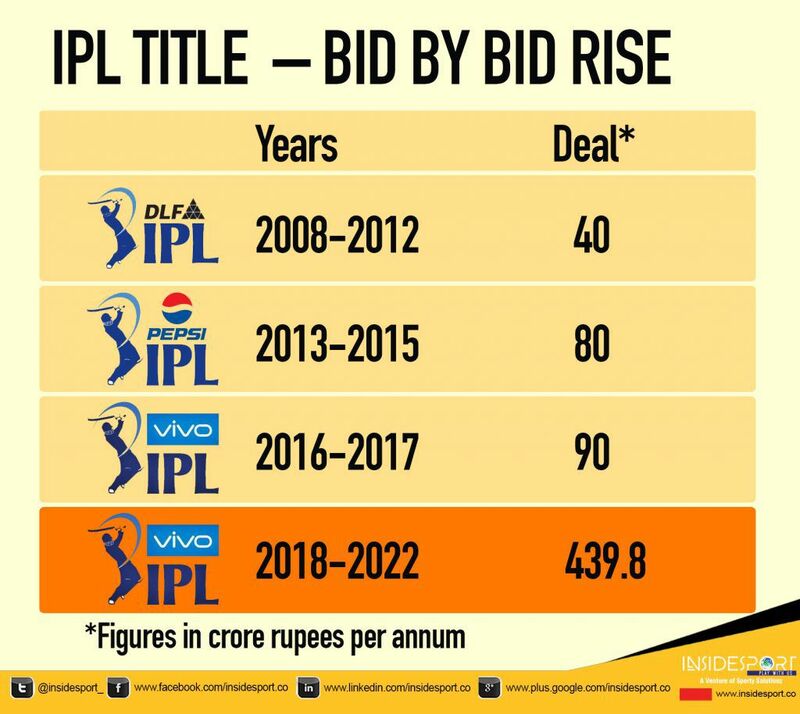 Much before, Vivo was a brand unheard of in Indian smartphone market, Real estate major DLF had acquired the IPL rights for a Rs 40 crore per annum for the 2008-2012 cycle. Five years later, as Pepsi replaced DLF there was a 100% escalation – a Rs 400 crore commitment at Rs 80 crore per season. The soft drink brand chickened out only three years into the deal, allowing Vivo to acquire the rights at a mere 12.5% premium – Rs 90 crore each for the 2016 and 2017 season. The escalation between the Pepsi and Vivo switch over was a mere 12.5%. Certainly, not the one to please BCCI. Expecting a better deal, BCCI put a 33.33% premium on the last successful bid to fix the base price for the next bid at Rs 120 crore. The quantum of jump on the bid will be unbelievable even for the best of commercial sports enterprises. For Vivo there is logic, simple computations in its market growth. 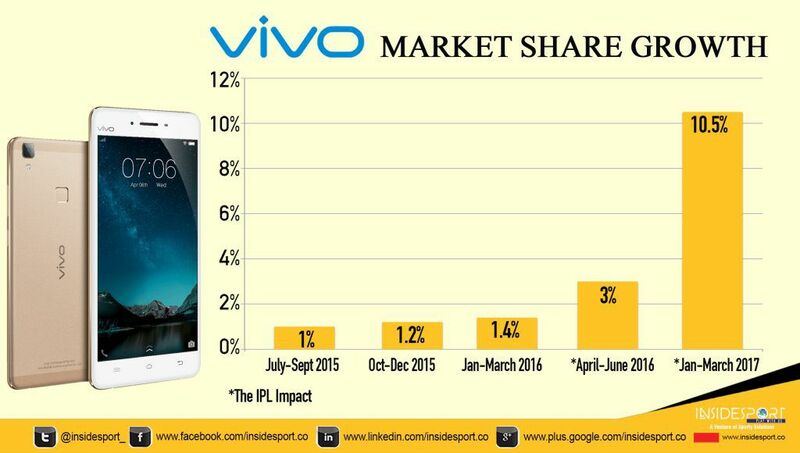 The numbers can be defined as corresponding to Vivo’s market share growth after the brand’s association with IPL. 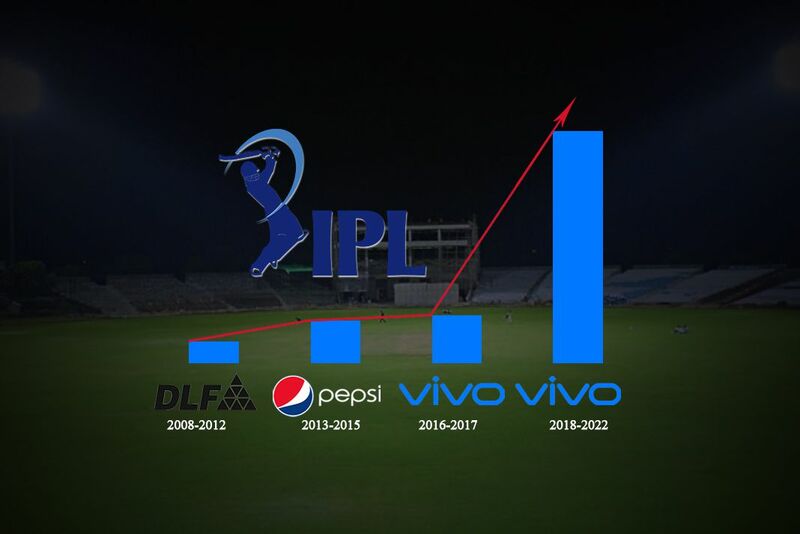 The market share rise in percentile for Vivo in the past two years is closer to the rise of IPL rights values over the past 10 years. InsideSport has reported earlier that the Vivo will go all out for the IPL right. The property has been the only item on Vivo India chief marketing officer Vivek Zhang’s agenda. Every other premier cricketing property is already captured by Vivo’s sister concern and in-house rival Oppo. The one left out, Indian domestic cricket and home series being with PayTM. The Chinese brand is heavily banking on the sport power to capture the Indian market. The aggressive approach was also evident in Vivo’s Rs 300 crore, fi.ve year commitment to the Pro Kabaddi League. The next announcement on the cards from Vivo is a tie up with Hockey India League.